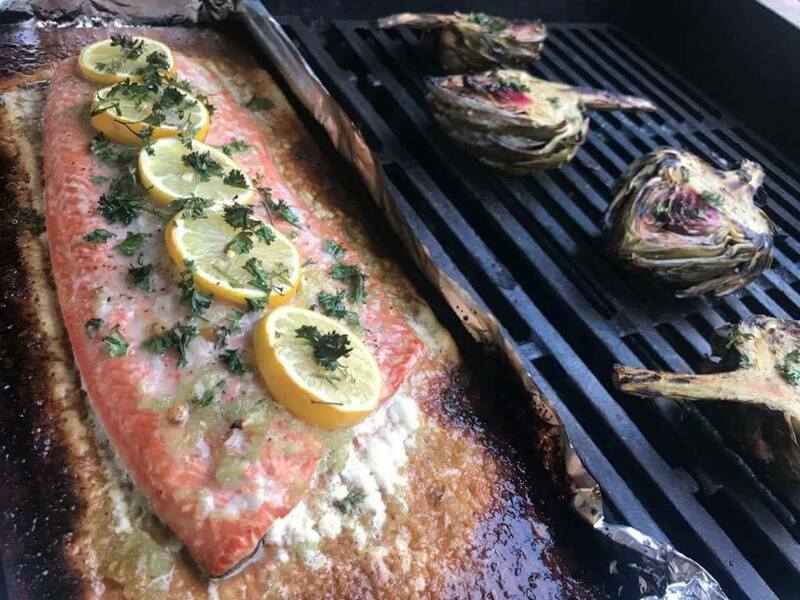 Summer Clean Eating: Honey Lemon Garlic Salmon on the Grill! If you have been searching for the SIMPLEST- most DELICIOUS Salmon recipe – THIS is it! Oven: Line a large baking sheet with a piece of foil. In a saucepan, melt the coconut oil over low­ heat. Add the honey, garlic and lemon, and whisk until the mixture is well combined. 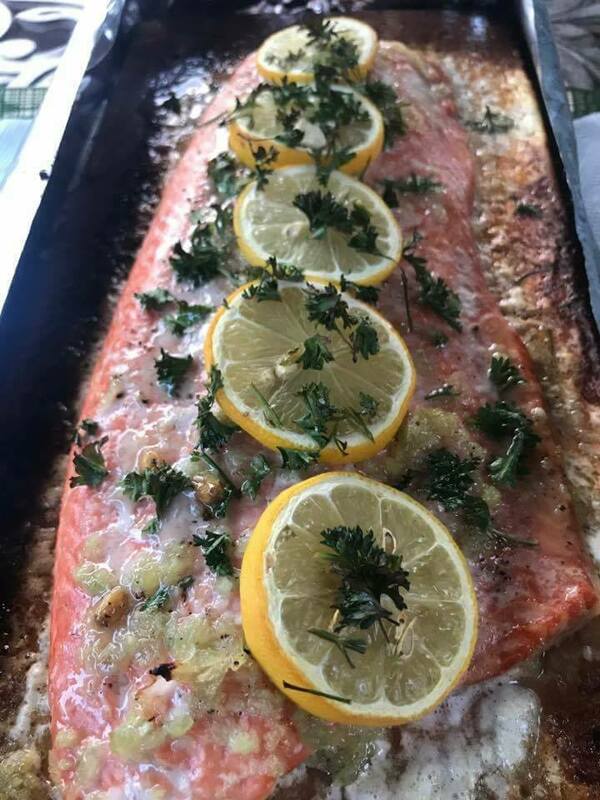 Place the salmon onto lined baking sheet or plank. Pour the honey mixture over the salmon. Sprinkle with sea salt & pepper. 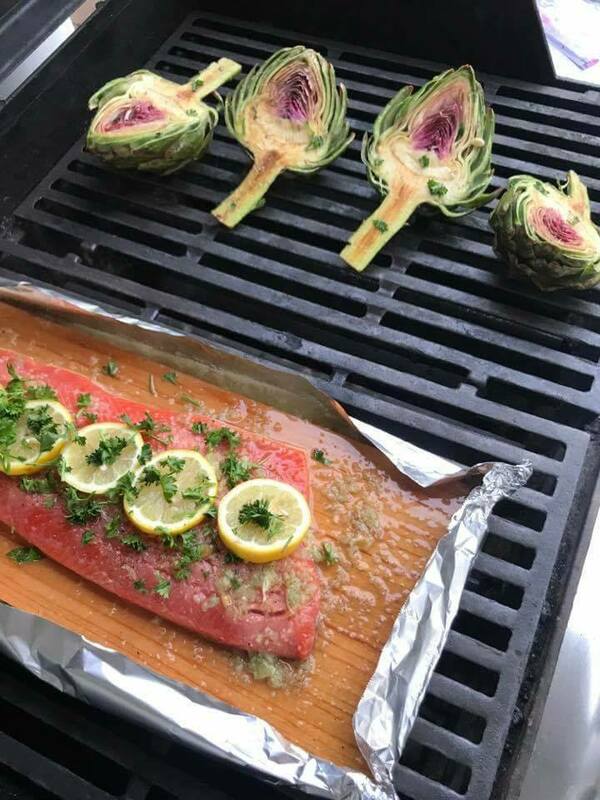 Fold the sides of the foil over the salmon to cover and completely seal. Using additional foil if needed. Bake or grill until cooked through, about 16 – ­18 minutes. Open foil carefully & broil under the broiler for a few more minutes until the salmon is a pretty caramelized color. Serve with fresh lemon & parsley. Cut tips off leaves if you like. 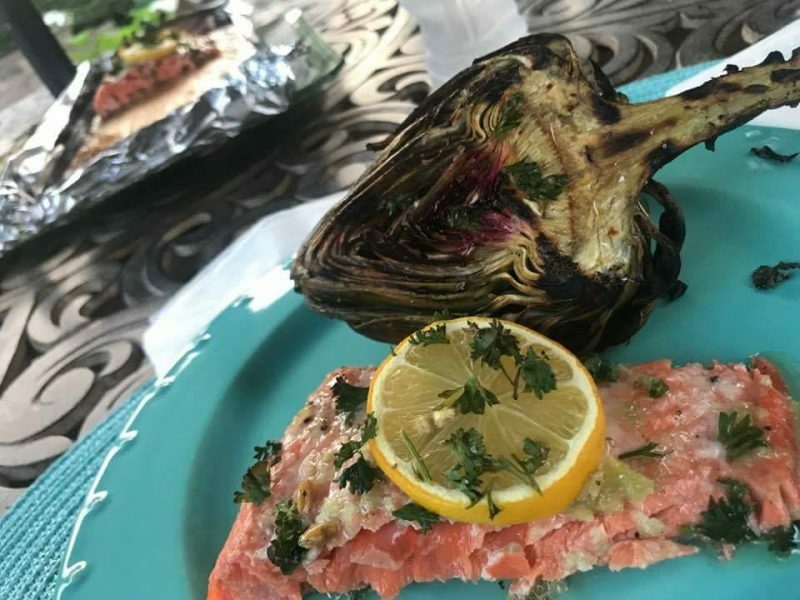 Cut artichokes in half. Remove purple leaves and hair, leaving the heart. Steam for 12 minutes. Drain. Brush with avocado oil, or olive oil, sprinkle with fresh lemon juice, and sea salt. Grill for about 10 minutes. 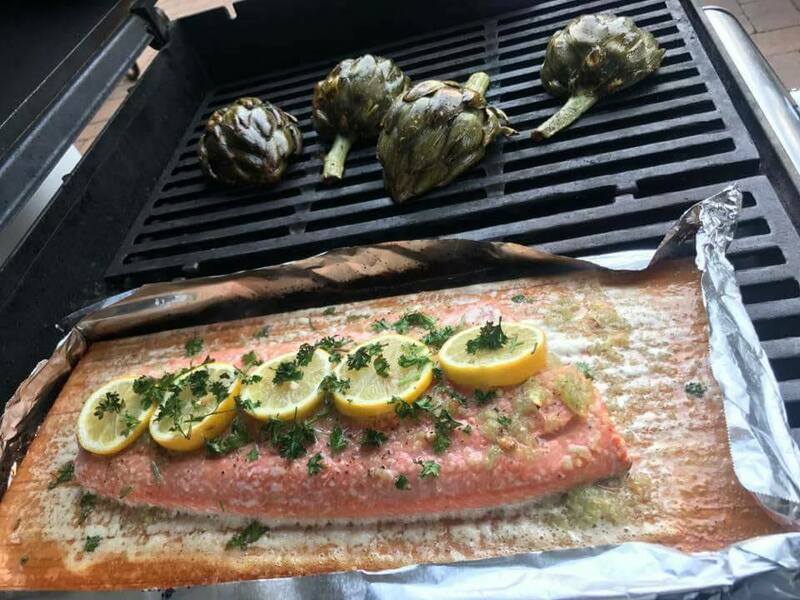 Bake or grill until cooked through, about 16 - ­18 minutes.